and 1:30 pm to 6 pm. Law N°2004-275 for Confidence in the Digital economy. Internet site Champagne Françoise BEDEL endeavors to ensure the exactitude and the update of the information disseminated on this site, and reserves the right to modify, constantly and without notice, the contents or the presentation of this site. 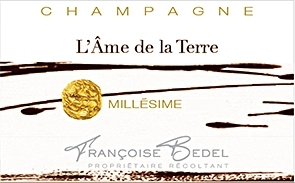 Internet site Champagne Françoise BEDEL which cannot guarantee exhaustiveness, or the absence of modification by a third (intrusion, or virus) of information contained on this site, it will not be in any manner responsible for exactitude, the absence of errors, or the character not counterfeiting of the contained informations on this site. 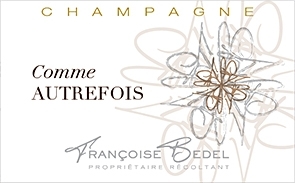 Any person eager to get one of the services presented on the site will have to contact Champagne Françoise BEDEL in order to get informed about the availability of the service, as well as contractual conditions and applicable tariffs..
Internet site Champagne Françoise BEDEL cannot be held responsible for any decision taken on the basis of contained information on this site, nor of the use which could be made by thirds about it. Internet site Champagne Françoise BEDEL emerges from any responsibility rising from the transmission for confidential informations on Internet network, and for this reason the responsibility for Champagne Françoise BEDEL could not in no case to be retained at the time of consequential damages whatever they are. Internet site Champagne Françoise BEDEL reserves the right to carry out an automated data processing communicated by the Net surfers. In particular at the time of an inscription on the site. The fact of communicating personal data carries acceptance of the treatment automated of the aforesaid data. The collected personal informations are only intended for Internet site Champagne Françoise BEDEL. The personal data are preserved for one unlimited duration or, until the Net surfer, who communicated these data makes a request for withdrawal. In accordance with the law, the Net surfers have the right to reach their data and to ask for correction, the update and the suppression of their personal data under the conditions envisaged by the law n°78-17 of January 6th, 1978 (modified) relating to data processing, the files and freedoms. 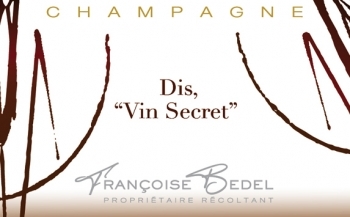 Champagne Françoise BEDEL is not responsible for the hyperlinks pointing towards this site. The creation of hyperlinks pointing towards this site is subjected to the fast and prior agreement of Champagne Françoise BEDEL. The hyperlinks drawn up in the direction of other Internet sites starting from the present site would not know, to in no case, engage the responsibility for Champagne Françoise BEDEL as for the contents of these sites. The user is informed that at the time of its visits on the site, a cookie can settle automatically and be preserved temporarily in memory or on its hard drive. A cookie is an element which does not make it possible to identify the user but is used with the recording of the relative informations for navigation of this one on Internet site. The users of the site admit being informed of this practice and authorize Internet site Champagne Françoise BEDEL it to be used. They will be able to decontaminate this cookie via the parameters appearing within their browser. The whole of this site concerns the international legislation on the royalty, the trade-mark law and, in a general way, on the intellectual property, with regard to each element of its contents (texts, images, data, drawings, graphs, photographs and soundtracks,…) that with regard to its form (choice, plan, provision of the matters, means of access to the data, organization of the data…). 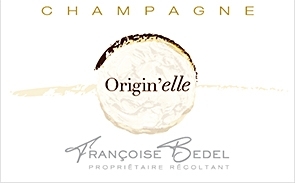 These contents, being reproduced on the pages of this site, are the exclusive Champagne Françoise BEDEL. The reproduction or representation, integral or partial, of the pages, the data and any other component to the site, by some process or support that it is, are prohibited and constitute without authorization express and Champagne Françoise BEDEL precondition a counterfeit sanctioned by the L335-2 articles and following of the Code of Intellectual property. In the same way, any use of the contents and site at illegal ends will be the legal proceeding object with regard to the contraveners. The contents of the site are fixed with the French right. Any user recognizes the competence of the bankruptcy court of Soissons for all that relates to the contents and the use of the site Champagne Françoise BEDEL or the recourse while rising. 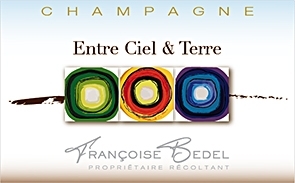 © 2003-2019 Champagne Françoise BEDEL - Maître d'œuvre enovanet - Moteur eChampagne - 1 visiteur connecté.